A few days ago (might have been a lil over a week but I’ve been busy!) 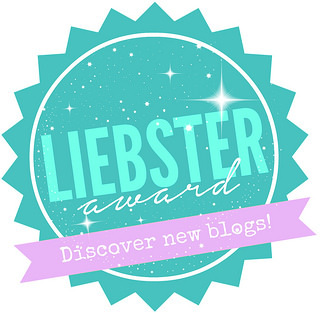 I was nominated for a Liebster Award by the amazing Lovesstorms. From what I can tell, This award is from sim story writers to other sim story writers to say that they are one of their favourite stories to read. (If I am making any sense, I usually don’t.) But anyway. I want to thank Lovesstorms for nominating me for the award, I have been reading her wishacy from the beginning and I love it and am really not surprised she was nominated for the award because her story is amazing. Seriously. check it out. Accepting the reward has responsibilities attached with it, which I gladly accept. It began as a bachellorette challenge which she allowed me to be a part of, and my sim got into the final 4! however ultimately my lil Gabe didn’t win but Sailor still found true love. It continues into a PGC and is just really amazing and I love it. Okay, so while I love her updates on this, I am not 100% certain it is a story but it seems like one and I love the adventures of Avi! There is quite a bit of NSFW stuff in there but if you don’t mind that then you should check it out! This is a rainbowcy that is still in generation 1 but it has really drawn me in. Normally I’m not a huge fan of rainbowcies but this one just drew me in. The beginning was so intense and while it became a bit more relaxed in the recent chapters, she always just does something that puts you on edge. I can’t wait to find out what happens with Ethereal in the coming chapters! and I seriously think you should go read it! Possibly one of the best stories I have ever read. To be perfectly honest I think that she could actually be a bestseller author if she wanted to, her legacy is far better than some of the published books I have read. But other than her incredible skills, The story deals with some…disturbing things which are quite hard to portray in sims as it is meant to be such a lovely happy game and she portrays them perfectly. Her characters are very realistic and if you start it then you will most definitely be sucked into the plot. 1. When you write, do you choose the computer or paper/pen? Computer usually, but I use notepad on my phone if I randomly get a lil story idea I want to remember. 2. Do you write your story ahead of time, then take photos (if you have any)? Or do you take photos, then write? Story first, pics second. This is usually because my pictures require a lot of posemaking and stuff so I need to know exactly what poses I need before I can do the pictures. 3. What made you want to start writing? A book? Life? A person? Other? 4. What’s a country you’ve always wanted to visit? 5. Outside of the Sims, what’s another favorite game you play? 6. When you become disinterested in your story/characters, what do you do? 7. When you write, do you prefer quiet or noise in the background? I like music in the background but hate like chatty noise. 8. If everyone stopped coming to your blog, would you continue to write and share? 9. Do you have a routine for reading other blogs, like reading until your caught up on one, then moving to the next one? Or do you enjoy reading little bits of many stories? I just read as I go along. I am very forgetful so I’ll read some, get busy and then the author might update a week later and I’ll remember to catch up on that story. 10. Do you keep a notepad & pen/phone/tablet by your bed for those late night ideas? If so, do you actually get up and write them down? Not really. I just tell myself to remember them and forget them by morning. 11. When you write, do you just do a quick glance and post? Or do you take a day or two or more and proofread, move things around, delete, re-write, etc, etc? 1. Could you play your game cc free? No mods/cc at all. 2. What got you into writing sim stories? 3. Why do you write sim stories? 4. How do you decide on a personality for your sims? Do you make it up as you go or do you use their traits? 5. Do you prefer realistic style play (vanilla sims, no aliens/supernatural, no wierd jelly bean deaths or stuff) or more cartoony play and why? 6. What is a mod/piece of cc you could not play the game without. 7. How did you get into sims? 8. Could you continue your story if you could no longer/could never use poses? 9. What is your favourite sims 3 EP/SP and why? 10. What kind of sim stories do you like to read? 11. Can you relate to your characters in your sim story/stories? Thank you again Lovesstorms! ❤ You’re amazing!